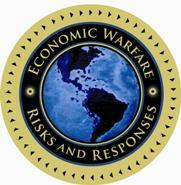 One of the most serious challenges of the global economic war is America’s unwillingness to face reality. We have very real enemies and adversaries who know they are at war with us. We, however, seem to have no clue regarding that fact. As a result, we see trading partners and globalization very optimistically without any regard to the possible motive behind other nation’s actions. For some, this is simply being naive. For others, however, greed overcomes their better judgment as they sell out our future. Either way, most of America has been blind to the very real risks that exist. Case in point. Google is reaching out to China even as China is demonstrating belligerence. BEIJING — Google’s best-known products have been blocked by the authorities in mainland China for years. If the American internet giant wants that to change someday, then half a billion dollars’ worth of good will couldn’t hurt. Google will invest $550 million in the Chinese online retailer JD.com, the two companies said on Monday. In return, JD.com will join the Google Shopping advertising platform, and will work with the Silicon Valley company on other e-commerce projects in Europe, Southeast Asia and the United States. The companies did not provide details of the projects. According to a JD.com spokesman, the deal will give Google less than 1 percent of the Chinese retailer’s shares, which trade on the Nasdaq. In other words, Google took a principled stand against China in 2010 when some could still argue that China was going to be a friend and positive trading partner. Since then, however, we’ve seen massive crackdowns in China on free speech, church growth, and human rights while increasing hacking, surveillance, and establishing Xi as defacto President for Life. And yet, Google is willing to work with China. On June 18, The Daily Beast noted the serious issue of “Exit Bans” that can even deny US citizens from leaving China if the government want to keep them as leverage against the USA. A sophisticated hacking campaign launched from computers in China burrowed deeply into satellite operators, defense contractors and telecommunications companies in the United States and southeast Asia, security researchers at Symantec Corp said on Tuesday. Symantec said the effort appeared to be driven by national espionage goals, such as the interception of military and civilian communications. This is not an isolated incident. In fact, over just the past few weeks we have learned of multiple hacking efforts targeting our nation’s security including our ships and submarines as well as fighter jets. These are not the actions of a friend. Xi Jinping wants to wrest control of global cyber governance from the market economies of the west. …. In late April, just days after the Commerce Department announced the denial order against ZTE, Xi Jinping, the president of China, gave a major speech laying out his vision to turn his country into a “cyber superpower.” His speech, along with other statements and policies he has made since assuming power, outlines his government’s ambition not just for independence from foreign technology, but its mission to write the rules for global cyber governance—rules that look very different from those of market economies of the West. This alternative would include technical standards requiring foreign companies to build versions of their products compliant with Chinese standards, and pressure to comply with government surveillance policies. It would require data to be stored on servers in-country and restrict transfer of data outside China without government permission. It would also permit government agencies and critical infrastructure systems to source only from local suppliers. Does this mean that Google is willing to conform to China’s demands? That is a very frightening proposition given all of the sway that Google has over American thought. Google search results can literally determine what a large segment of our population thinks on a given subject. And we know that the Chinese use every means of propaganda including education and entertainment to influence America. Many see the Google investment as simply another sign of good global cooperation. In other words, it is a marketplace. Unfortunately, the Chinese likely view this as a battlespace opportunity. Lawmakers have urged Alphabet’s Google to reconsider its ties with Chinese technology giant Huawei because it “could pose a serious risk to U.S. national security” and American consumers. In a letter to the search giant’s CEO Sundar Pichai on Wednesday, both Republican and Democrat lawmakers said they were concerned about Google’s “strategic partnership” with Huawei. The two have a long-standing relationship. Huawei, which is now the third-largest smartphone maker in the world by market share, runs a version of Google’s Android mobile operating system on its devices. And in January, they formed a partnership to work on a new standard of mobile phone messaging. Huawei is one of China’s largest technology companies producing consumer electronics alongside its core telecommunications equipment business. The Trump administration ratcheted up its criticism of China in a report released by the White House on Tuesday detailing its claims of “economic aggression” by the Asian giant. The 35-page report titled “How China’s Economic Aggression Threatens the Technologies and Intellectual Property of the United States and the World” came a day after President Donald Trump threatened to slap additional tariffs on goods from China, setting off market turmoil. China “has experienced rapid economic growth to become the world’s second largest economy while modernizing its industrial base and moving up the global value chain. However, much of this growth has been achieved in significant part through aggressive acts, policies, and practices that fall outside of global norms and rules (collectively, ‘economic aggression’),” the White House report said in its opening. It’s not just our government feeling the economic coercion. The IMF and others are very concerned that China is using its “Belt and Road” initiative to get countries in a debt trap and then exercise undue leverage over policies. Several nations have expressed concern about China attempting to influence their governments and decision making. Influencing Google and infiltrating American smartphones would seem like an ideal way to continue that effort. Despite these truths, most corporations blindly continue on seeing only globalization and a marketplace while China clearly is attacking a battle space. You know better. This is a global economic war. The sooner we acknowledge that fact the sooner we can address the threat. Next post: Who Might Be Willing to Cause a Market Crash?